Plenty of storage space. Includes choice of natural stone counter and backsplash with porcelain undermount sinks. Includes matching mirror. Metal hardware with antique bronze finish. 4 doors, 3 drawers. Faucet not included. 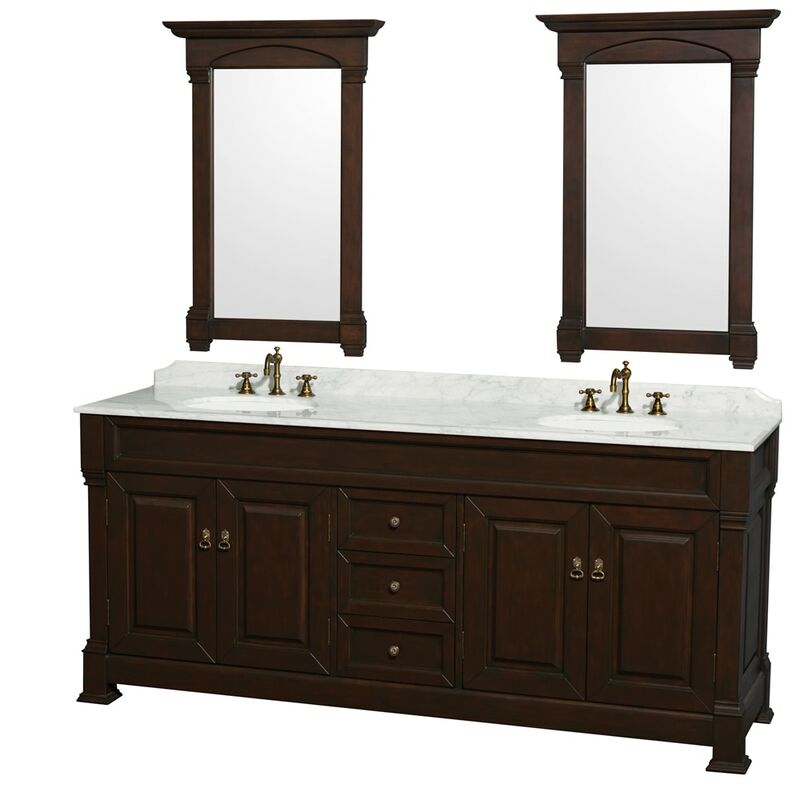 Dimensions - Vanity: 80" x 23" x 35.75"; Mirror: 28" x 3.75" x 41"